Yokohama Tire and Nitro Circus are adding more heat to the already hot SEMA Ignited®: a special, high-flying Nitro Circus Freestyle Motocross (FMX) show. Set for Friday, November 2, SEMA Ignited – the official after-party of the massive automotive aftermarket trade-only SEMA Show – features cool custom cars, stars, food and music. It’s open to the public from 3 p.m. to 10 p.m. at the Platinum Lot (3150 Paradise Road) by the Las Vegas Convention Center. 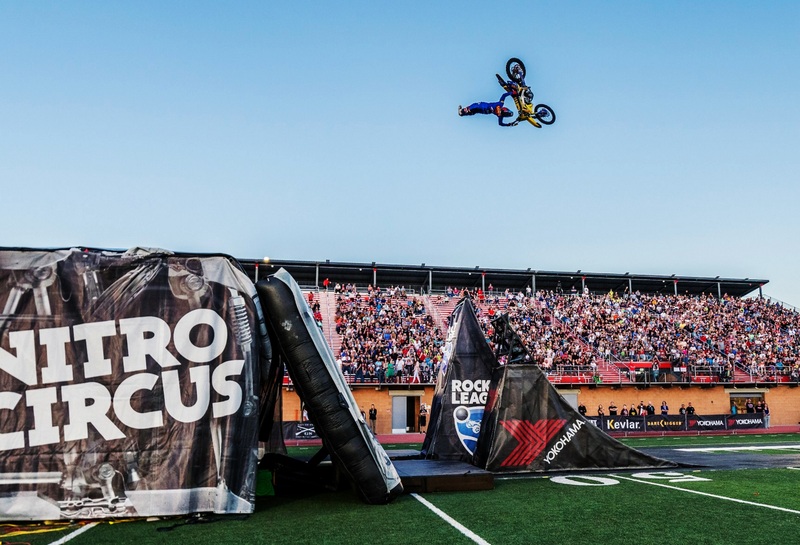 Nitro Circus is the world’s leading action sports and entertainment brand and a Yokohama marketing partner. Yokohama is the exclusive tire of the 2018 Nitro Circus You Got This arena tour in the United States, as well as an official sponsor of the Nitro World Games action sports competition. Briggs said enthusiasts can stop by the Yokohama display at SEMA Ignited, which will include a Porsche GT3 Cup racecar, a highly modified GenRight Jeep and the Subaru WRX STI from the Action Figures 2 movie, as well as the company’s lines of ultra high performance and off-road/light truck tires.